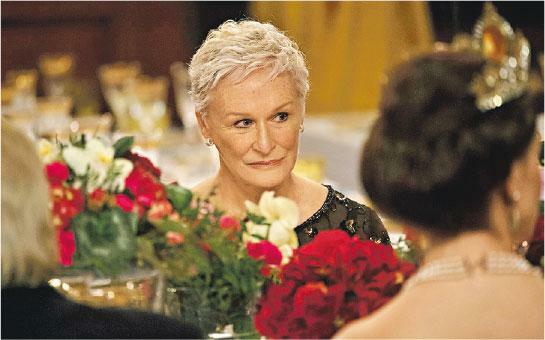 【明報專訊】When Glenn Close lost her 7th Oscar nomination to Olivia Colman in the film The Favourite, it made me rethink how far bad luck can extend. Over the years, Close has established herself as one of the best actresses, whether as a supporting character in The Big Chill, or a lead in Fatal Attraction. Yet, for reasons ranging from power politics to strong opponents, she has closely missed the esteemed award seven times in a row. In my opinion, her latest nominated work, The Wife, rests so heavily on Close's performance that even a draw with any other acting should perhaps give her an upper hand in the competition. 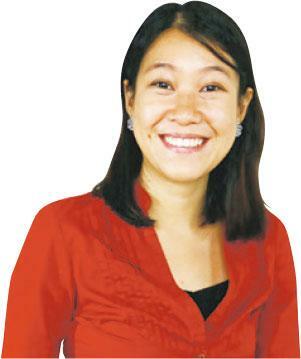 The Wife speaks of the power struggle between the sexes. Nobel Literature Prize winner Joseph Castleman was forced to confront the hidden truth that his wife Joan was the real champion behind the medal. The shared secret between the couple resulted in irreversible cracks in their marriage, shown only via minute interaction between the characters. As the dialogue-heavy script doesn't allow for much drama, Close's performance was central to driving home the story, which she capably delivered. While the script may be thin in portraying Joan's love and struggle throughout her ghost-writer life, Close has filled the gap of the script by amply expressing the frustration resulting from such a background. Sadly, Oscar dictates the accessibility of films. While The Favourite is still on at almost all major cinemas, The Wife has quietly exited the big screen. Grab the last chance to see it in the last cinema showing it. Mona C. has a strong appetite for stories. Feed her enough.